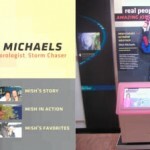 The McAullife-Shephard Discovery Center in Concord, NH features over ten interactive exhibits created by OmniMedia. 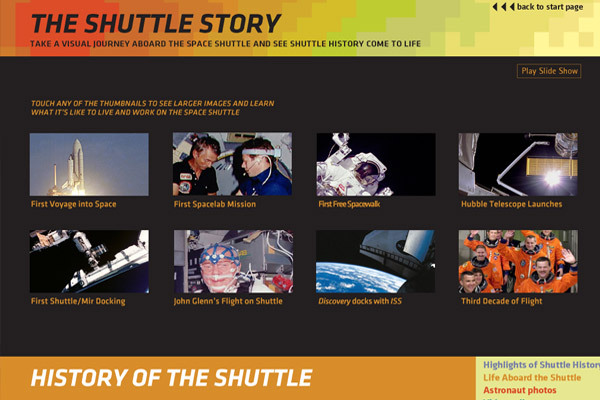 One of many interactive exhibits created for the Discovery Center – the “Shuttle Interactive” is an interactive touchscreen kiosk where the user can view photos and video of a wide variety of the NASA space shuttle activities, launches, projects and on-board life. We created the graphics and programming from assets provided by the design firm, then installed it on hardware we purchased for the museum. 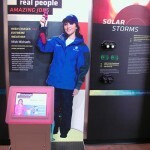 “Real People, Amazing jobs” is a series of interactive kiosks where visitors can learn about New Englanders who have turned their passion for science into an exciting career path. We have created three of these “people pods” so far, featuring Misc Michaels, Maria Zuber and Barry Rock, with a number of additional kiosks on the drawing board for Phase II of this project. We provided design, programming, hardware and installation services. 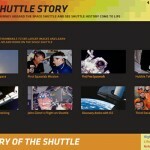 We have provided a wide variety of interactive experiences for this NASA funded center in Concord, NH. 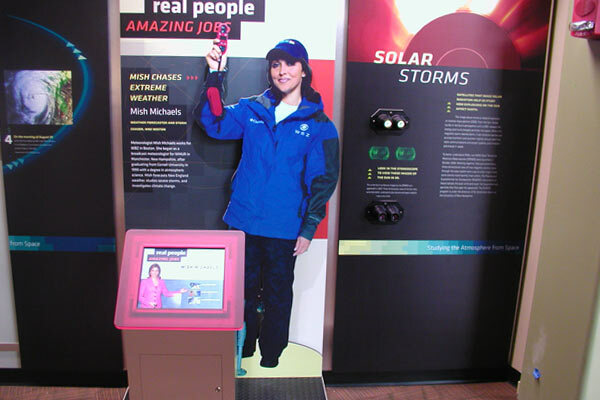 With “Be A Weatherperson”, using chromakey technology, the visitors would play the role of a weather forecaster, recording themselves in front of a camera/teleprompter system, that is triggered by choosing a forecast from a touchscreen system located at the entry to the booth. The system is completely self-running and captures their weather forecast automatically and then plays it on a monitor outside the exhibit while the next visitor records their forecast. 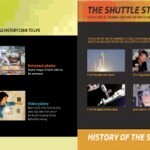 We provided the entire design, production, programming, hardware and installation for this exhibit.